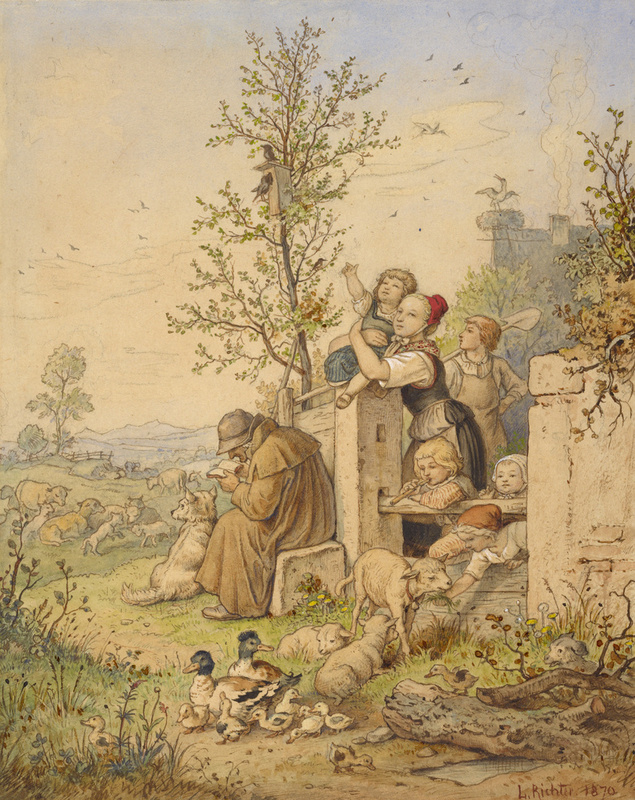 An illustration for a family picture book, this highly finished watercolor celebrates the arrival of spring. Budding trees, nesting birds, children with newborn lambs, ducklings--all signify the promise of renewal that accompanies the new season. A seated crone symbolizes the fading of winter. With the increasing sense of national pride and the development of mass publishing, Ludwig Richter's fairytale illustrations made him a cultural hero for the German people before and after the unification of Germany in 1871.